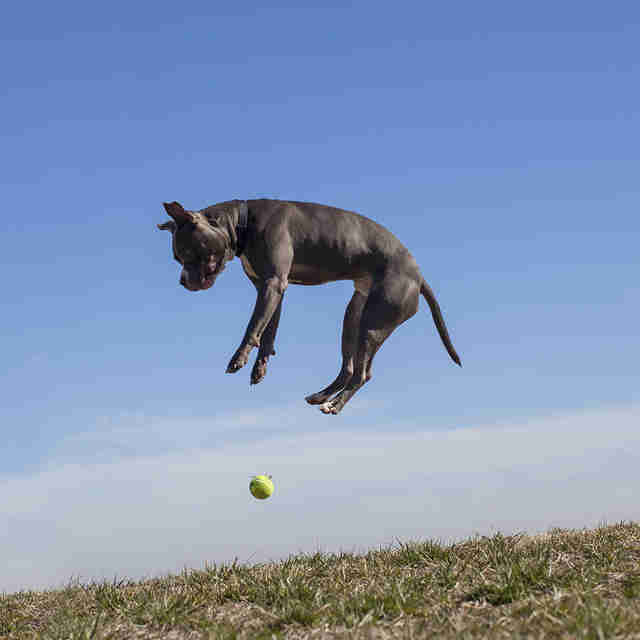 When I first walked into the Wake County Animal Center (WCAC) in Raleigh, North Carolina, I was overwhelmed. In one room alone, there were over 40 kennels, all with dogs barking, crying, whining - or worse, facing the wall while trembling uncontrollably. Each dog was in a separate cage. Windows were sparse. The noise level was deafening. On this particular day, I visited a dog named Batman. We recognized each other right away from my time spent at the shelter. He had been in the back corner shaking, but when he saw me he walked over to the kennel door and put his head on my hand as if to say, "You're here again?" It was a neighbor who first got me volunteering at this animal shelter 10 years ago. She had assumed I was an animal advocate because I had recently adopted my first dog, Lula Belle, a Walker hound mix. But I didn't know anything about the problem of animal overpopulation. I had never set foot in an animal shelter. I only adopted a dog from a rescue group because I didn't have time for a puppy. The shelter staff and volunteers at WCAC work heroically to care for these animals and find them homes. But every week when I went back, there was a new set of animals, an endless stream of unwanted dogs. 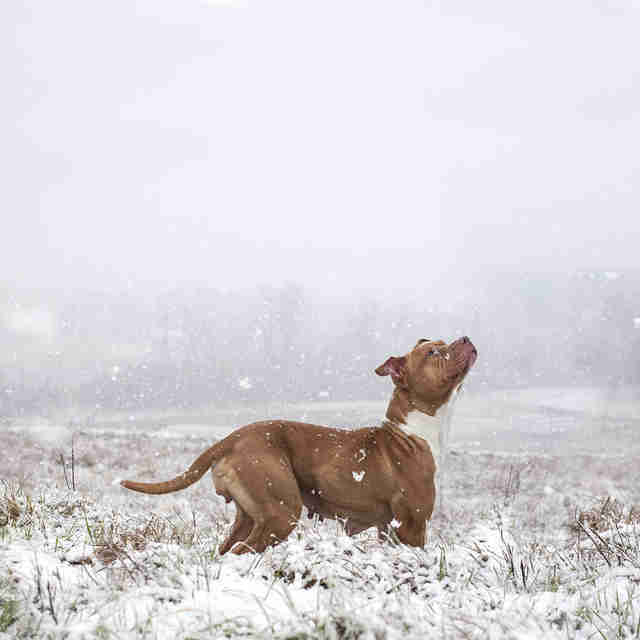 One dog would go to foster care or a rescue or be adopted, but then three more would come in. Most of them had been discarded through no fault of their own. I never asked any questions about where all the dogs went, although I knew deep down. I preferred to lie to myself and pretend they had all found homes. Eventually, I volunteered to photograph the animals for the shelter's website. 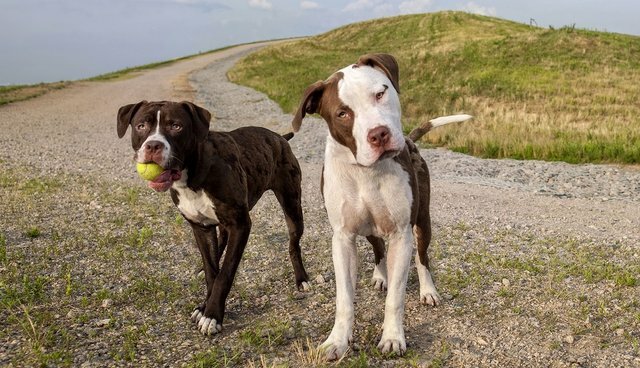 In 2010, the director of environmental services suggested I photograph the dogs at a county park that sits atop the old landfill. It may not sound like it, but Landfill Park, as it is now called, is a beautiful location, with the many thousands of tons of trash elevating the grassy hill to the second highest point in the county. It struck me as perplexing that the environmental services department oversees both the landfill and the animal shelter. But both are places for us to dump our unwanted property. Sadly, for the government and our society, homeless animals are just another waste stream. 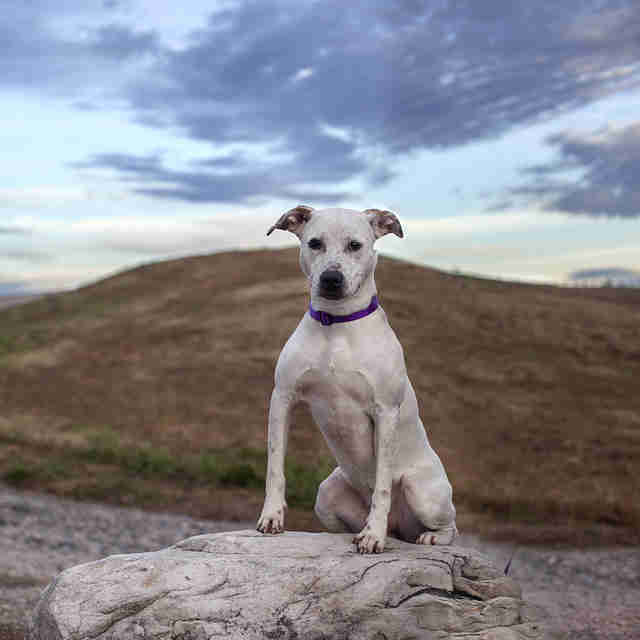 I started taking the dogs from the shelter to the top of Landfill Park to photograph, starting with the ones who had been at the shelter the longest, the least wanted, the ones most at risk of euthanasia. I call them the "Landfill Dogs." Along the half mile to the top, they run, play, sniff, chase balls and eat treats while I photograph. My favorite thing is when the dog just wants to sit at the top and look around with the wind blowing through his or her fur. I just sit there with the dog and it is peaceful. But buried below us are over 25,000 euthanized dogs. Landfill Park was an active landfill for 14 years, from 1996–2008. During this time, WCAC brought its euthanized animals there. 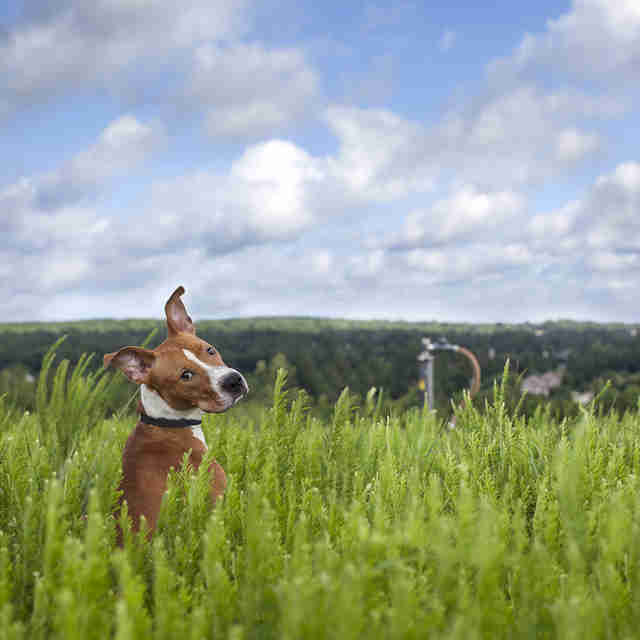 There are an estimated 25,666 dogs buried in Landfill Park. If each euthanized dog weighed an average of 50 pounds, that equates to almost 700 tons of dogs buried among 4.8 million tons of trash. And this is just from one animal shelter, in a state with 100 counties. I think of Landfill Park as a burial ground. Batman became one of my landfill dogs. He was originally brought into the shelter after showing up around Christmas on someone's front porch and refusing to leave. When I first met him, Batman was just about a year old - a fully grown puppy who no one had taken the time to train. He was lovable, rambunctious, affectionate and goofy. 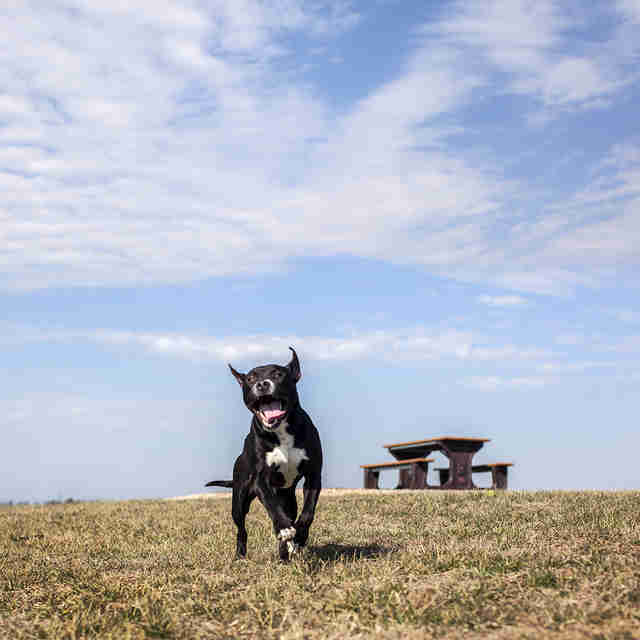 But as a black pit bull mix (which are a dime a dozen in shelters across the country), he waited for five months without foster care or adoptive interest. We made him part of the Landfill Dogs project in late January 2014. At last, in April 2014, a family fell in love with him and adopted him. I had the chance to visit them twice after the adoption. Batman was equally as wild with happiness. He ran in circles on the back of his new family's furniture with excitement. He had a new canine sister and a human infant to protect. He seemed blissful. But last month, Batman's family lost their home, and with it the ability to care for Batman. As sad as this is, the most unfortuate part is that there are simply too many dogs and not enough homes. Batman is once again one of the many dogs with nowhere else to go. It is overwhelming and depressing. And it will continue to be tragic because euthanasia is the only tool we have to combat animal overpopulation. This Landfill Dogs cycle will not stop until spaying and neutering become as ordinary as a rabies vaccine. 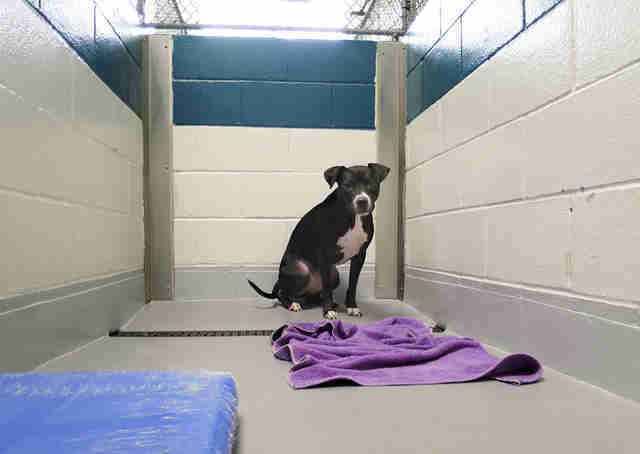 I once again found myself visiting Batman in the shelter. He was shaking in the corner, just like that first time. We spent a few minutes looking at each other, and I could already see it in his eyes. Just like a dog, he has forgiven us for our mistakes and had made none of his own. 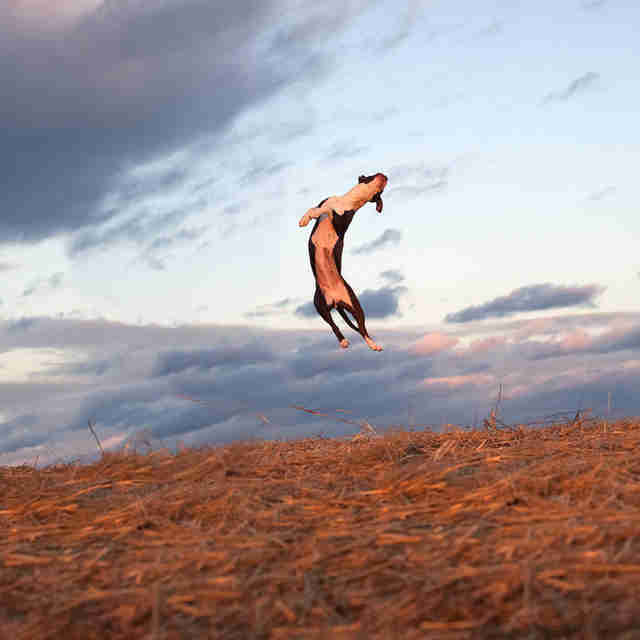 To date, I have photographed 153 landfill dogs, including Batman. Of that group, 132 have found homes or been sent to rescue. Seven are still waiting, and 14 have been euthanized for various reasons. But I have collected their images into a book so their names and stories can be known. The hardcover 204-page book, "Landfill Dogs," is now available through Blurb. $10 from every copy sold goes to the Heal-A-Heart fund which treats heartworm positive dogs from WCAC. To learn more about Landfill Dogs, please visit the website or the Landfill Dogs Facebook page. If you would like to meet Batman, you can visit WCAC any day of the week. Go here for more information.